pose it for maximum whimsy and ridiculousness!. He will stand on his own and has a weighted bottom. He is a lucky gnome. 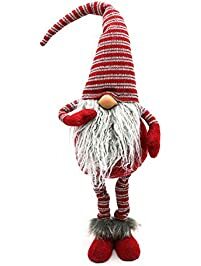 Gnome or Tomte, according to Scandinavian folklore , bearded men who guard homes, farms and children, particularly at night, protecting them from misfortune. He is a lucky gnome. SIZE: 16 ” tall , 3.5 ” wide. Each gnome is individually handmade with lots of love! All items come from smoke free environment. Dont you think this adorable gnome are welcome any time of the year? We do. Thanks so much for looking! If you have any questions, please don’t hesitate to contact us! Copyright 2015 © 7ProductGroup. All rights reserved. This is a high quality handmade christmas toy solely manufactured by 7ProductGroup. If you are not purchasing from 7ProductGroup. then you are purchasing a knock off and we cannot guarantee the quality of the material or accuracy of the design. Instantly transform any room with our unique home decorations. I love this little guy!! This company takes gnomes to a whole new level. They are not just for the garden anymore. This handmade little guy is the cutest! I love gnomes and this company makes the most adorable and affordable gnomes. This one has a bendable hat that you can manipulate and this hairy beard is great. He has a “bean bag” type bottom that helps him sit just the way you want him. His legs dangle so you can cross them or let them simply sway. You can see in the images his size of 16″ tall (including the hat) and 3.5″ wide. This little guy has such character I think he is great. 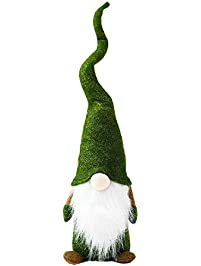 My mother-in-law is also crazy about gnomes so I can see some more of these guys being purchased in the future. That come in different colors, some are standing up, some sitting down, some have short legs and some have long. He is very well made and high-quality. I give this little gnome five out of five stars. . I love his realistic hair and the way they designed him just gives him such character.